If you’re looking for something to do on a weekend or perhaps have friends from out of town visiting, consider going on a food tour in one of the exciting neighborhoods in New York City. Food tours or food crawls are a great way to discover and sample foods from some of the best local restaurants and eateries. Here’s one I came across that caught my attention. 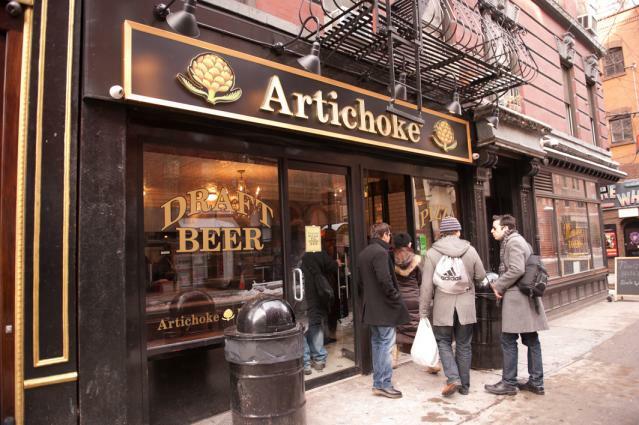 It’s a food tour covering the West Village. This 3 hour tour will take you around the neighborhood and introduce you to the tasty bagels, pizzas, canoli, and foods from places like: Faicco’s Italian Specialties, Artichoke Pizza, Mamoun’s Falafel, Hudson Bagels, Fatty ‘Cue, and others. They will bring you to 6 different establishments. The tour is normally $48 per person, but they are available for $24 from Goldstar. Check it out and let us know what you think.